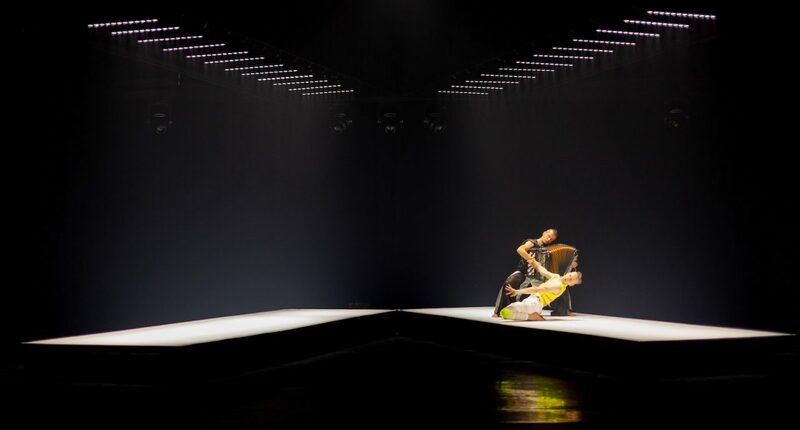 Two globally acclaimed Finnish artists, choreographer-dancer Tero Saarinen and accordionist Kimmo Pohjonen, take measure on each other on stage, composing a power web of sound and movement. 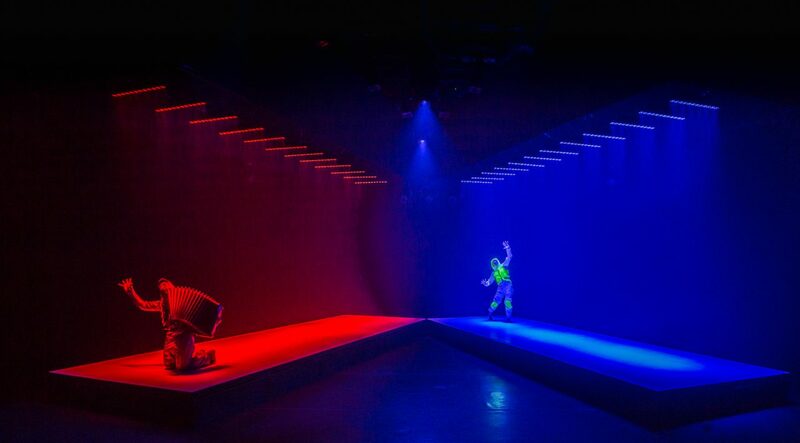 Bessie-award winning wizard of stage and lighting design, Mikki Kunttu, will add his spell on the work. The duet is further enhanced by the imaginative sound design of Tuomas Norvio, known for his work in electronic music. Costumes are by fashion designer Teemu Muurimäki, whose sleek designs were also seen in Morphed. Choreographer’s Assistant is Henrikki Heikkilä. 65 mins., no intermission. Note! 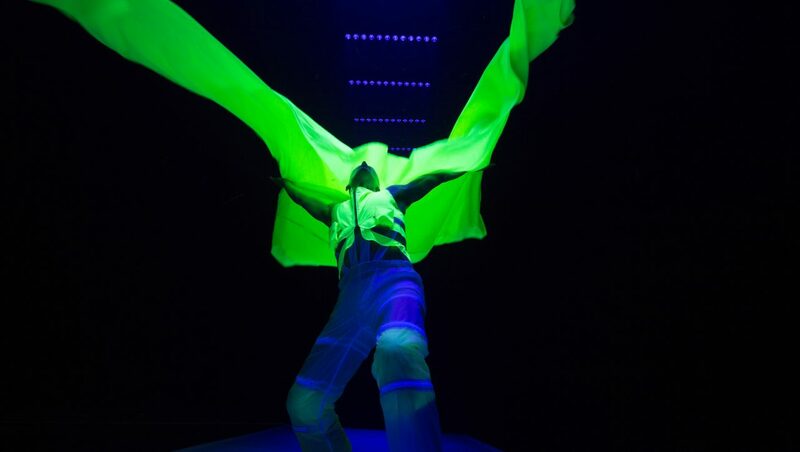 The creation includes strong strobe lighting effects! “Kimmo Pohjonen’s work has always intrigued me, he is a mesmerizingly intense performer and inventive composer. He has been called the Jimi Hendrix and Björk of his instrument, which I feel are quite appropriate descriptions. As I too have found my artistic voice through breaking boundaries and colliding a wide range of influences – from ballet to butoh – I feel we have a certain kindred spirit in the way we work, see our art and the world. We also share a similar interest in pushing the limits with the visual and technical aspects of our works. 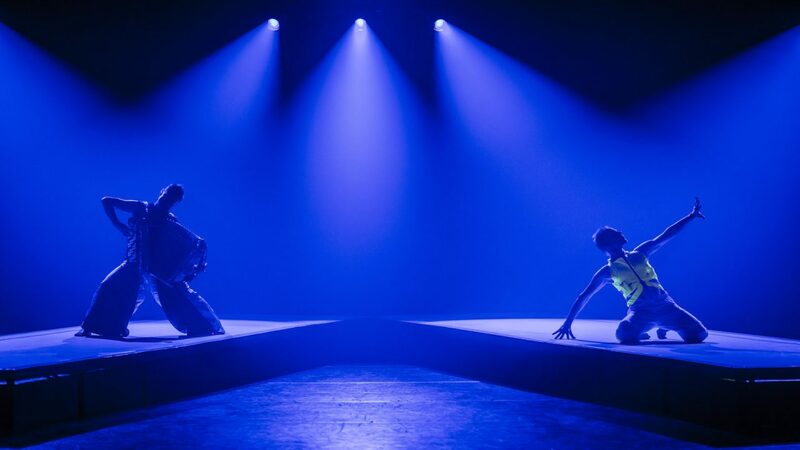 Lighting and Set Designer Mikki Kunttu, Sound Designer Tuomas Norvio and Costume Designer Teemu Muurimäki have all been essential players in the creation of Breath. Kimmo has worked with dance before and most of my key works include live music, but for various reasons we had never collaborated until we were asked to improvise together in China two years ago. The performances, at a large-scale outdoor festival in promotion of the City of Helsinki, struck something in the both of us. We instantly found ourselves on the same wavelength in our on-stage dialogue. From then on, we both felt we wanted to explore a deeper collaboration: to see if the collision of two artists with strong individual voices, would result in something new, something bigger than the sum of their parts. We felt like we wanted to step out of our comfort zones and delve into something we hadn’t experienced before, to expand the limits of our artistry. Breath is big physical challenge for Kimmo as he is exploring movement in a new way. It’s not easy dancing with approximately 20 kilograms in your lap! I – a non- verbal performer at heart – on the other hand, am faced with a quite unfamiliar challenge of producing sound on stage. On a conceptual level, one of the key messages of this creation is the importance of truly and openly confronting one another. We have discussed the contradicting feelings of fear of losing one’s distinctive voice and personal space, while at the same time yearning for new experiences and encounters. How to be open to influences without losing oneself? We also explored themes of solitude, extreme isolation and losing contact – and, on the other hand the longing for a connection. These ideas actually ended up influencing the work profoundly: especially the visuality and soundscape have an otherworldly, scifi feel. Thank you for the warm welcome Seoul and #sidance2018 ❤️#terosaarinencompany, #Breath and #kimmopohjonen will be back in Asia already next year - stay tuned!